Kathleen Anderson, longtime district director for Congressman Martin Sabo, who lived in Longfellow Neighborhood growing up. Lake Street Council is working hard this year to collect and promote the history of this area. The first stage to this project is collecting oral histories of longtime residents. 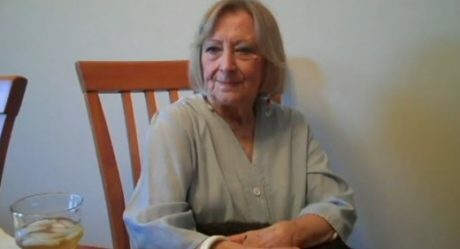 Here’s part of the interview with Kathleen Anderson, longtime district director for Congressman Martin Sabo, who lived in Longfellow growing up. Please visit youtube.com/VisitLakeStreet to watch the whole video interview with Kathleen and others! And if you are a longtime resident who remembers well the Lake Street from decades past, and would like your story recorded, please get in touch with us! Call 612-824-7420 or email coien@lakestreetcouncil.org. I lived on 39th St. & 44th Ave., which is about 9 blocks from Lake Street, and several blocks from the river. Mostly we would ride our bikes, or I would take the 42nd Ave. bus to about 36th St. and then transfer to the Lake Street bus. Sometimes we’d go east toward the river, there was an ice cream shop, I believe it was a Bridgeman’s, for ice cream. Or, we would take the bus to the west toward the Uptown area and the lakes. We would stop sometimes at the Town Talk, which was there. We were into picture taking as teenagers, and we would have our film developed on the second floor of the building above the Town Talk. Once in a while my dad would take me to lunch at the President Café, which was right across the street from the old ballpark (at Nicollet). Going out to lunch in those days was quite exciting, not like it is today. It seemed to me like it was a workman’s restaurant that had all-American food and lots of it. Not French fries and burgers I don’t think, more like hot beef sandwiches with mashed potatoes. One of my friends got a job there and I was very envious of her, because the only job I ever had was babysitting. I remember she developed a muscle in her wrist because the ice cream was so hard and she would scoop it out for ice cream cones. We’d come down after school and on Saturday and we’d either ride our bikes or take the bus there, and get an ice cream cone and fool around. It was a hangout, kids just hung out there. She loved working there, she probably lorded it over the rest of us. It was very exciting for a teenager to get a job in those days. We all did babysitting and lawn mowing in those days, but this was a real job. It was the first time I went with a boy alone to a movie. His name was Eddie, I still remember, and we took a bus to the El Lago Theater at 36th & Lake. I thought the El Lago was very elegant. It had a lot of velvet drapes, and as I recall the lobby was quite ornate. All that’s lost, isn’t that too bad, those beautiful theaters we had? Fortunately we saved the State Theater downtown, but some of the lovely theaters are gone. The date must have gone okay. Eddie and I went rollerskating later, but with a larger group. It must have gone okay, I still remember his name! Previous Topic: Food Obsession: THERE’S NOTHING TO EAT AROUND HERE! Next Topic: SEARCHING – a Serial Novelle CHAPTER 18: Truth, in all its profound beauty and terror.